It looks like any other bit of granite but the Stone of Scone, or Stone of Destiny, is an extremely important artefact in Scottish history. Measuring 66 cm by 40 cm by 27 cm (26 x 16 x 10.5 in) and weighing approximately 152 kg (336 lb), it is supposed to be the pillow stone used by Jacob in the Bible. It has been used in the coronation of the monarchs of Scotland, England, and, more recently, Britain. 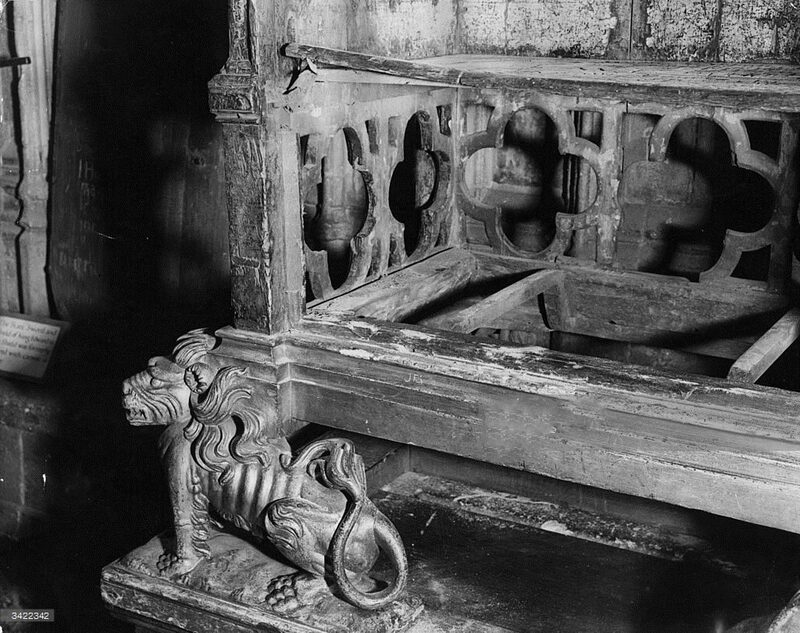 It is believed to have first been used at the coronation of Kenneth Mac Alpin, the first King of Scots, in around 847. Robert the Bruce gave a portion of the stone to Cormac McCarthy, king of Munster, Ireland, who installed it at Blarney Castle where it became the Blarney Stone. John Balliol was the last Scottish king to be crowned on the stone at Scone in 1292. In 1296 it was captured by Edward I and taken to Westminster Abbey where it was installed in St Edward’s Chair, on which all subsequent English sovereigns, except Queen Mary II, have been crowned. On Christmas Day 1950, four radical Scottish nationalist students from Glasgow University — Ian Hamilton, Gavin Vernon, Kay Matheson and Alan Stuart — took the Stone from Westminster Abbey, intending to return it to Scotland. As they stole it, they broke it into two. The larger part they left with gypsies in Kent for a few days while they attempted to take the smaller piece back to Scotland. They used a borrowed car and were helped by John Josselyn. Glasgow stonemason Robert Gray was given the Stone of Scone to repair by a Glaswegian politician. Repaired, the stone was left covered in a saltire at the altar in the ruins of Arbroath Abbey on 11 April 1951. The stone was returned to Westminster Abbey where it stayed until July 1996 when it was sent back to Scotland. The four students were not prosecuted. Rumours persist that the stone is a fake and was either replaced to prevent Edward I having it or was copied by stonemason, Robert Gray, in 1951.